This may come as a shock to anti-creationists, but Bill Nye is not a threat to the Bible or biblical creation science. He thinks he's on a crusade for "science", and so do many of his fans. If those things he opposed were actually wrong, and if Nye was capable of understanding science and logic in the first place, then he might make some valid points. His cheering section frequently shows disunderstanding of science, logic, philosophy, and more, so they are enablers that encourage his bad behavior. I'm on record for saying that in the big debate with Ken Ham that he used terrible logic. But that's okay for people who want to defend "science" (that is, equivocating "evolution" with "science") from the big, bad creationists who want people to use critical thinking and actually examine the evidence. 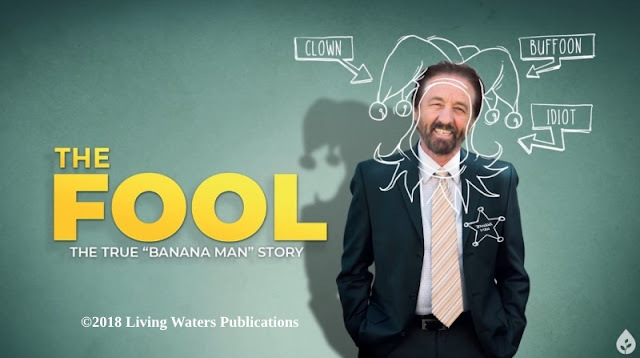 (Rabid evolutionists tell you what to think, many creationists like me want to tell you how to think.) People who think should be embarrassed by not only Nye's antics in the debate as well as in the present, but also by his fans who think he is brilliant. For that matter, some insist that Nye won the debate, despite his constant misrepresentations, question-dodging, logical fallacies and dishonesty. I've said before that someone who wants to promote real science would not be interested in suppressing contrary viewpoints, because science thrives on development; maintaining the status quo is counterproductive. He does not know what the Bible teaches, his knowledge of creation science is dismal, and he has serious flaws in his understanding of science itself. Why do some people think Nye is brilliant? 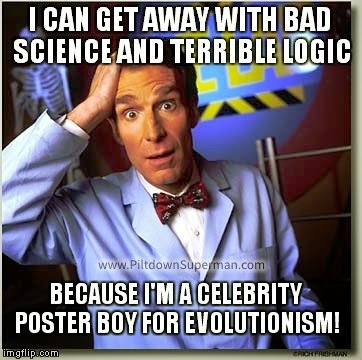 He is a celebrity that ridicules Christians and biblical creationists. It's much easier than dealing with things intelligently. I think I see why he kept getting rejected for astronaut employment at NASA, that requires logical thinking instead of appealing to emotion. But no, they buy his propaganda book, even though it is loaded with falsehoods. (Some don't even need to read it to know that the book is right and the mean old creationist critics are wrong! For that matter, they "know" what a creationist is going to say, so they don't bother to read books, articles, watch videos, and so on. But I digress.) I recommend that you read "UndeNYEably Uninformed" for more information on his dishonesty, bad science, and faulty reasoning. Bill Nye is all sound and fury, signifying nothing of consequence to real science. Sort of like the odd horse that wanders by the corral at night and agitates the horses inside. He is also typical of so many of his ilk: they attack, appeal to emotion, misrepresent, lie outright, resort to slander and libel, lots of emotional appeal, but have no substance. 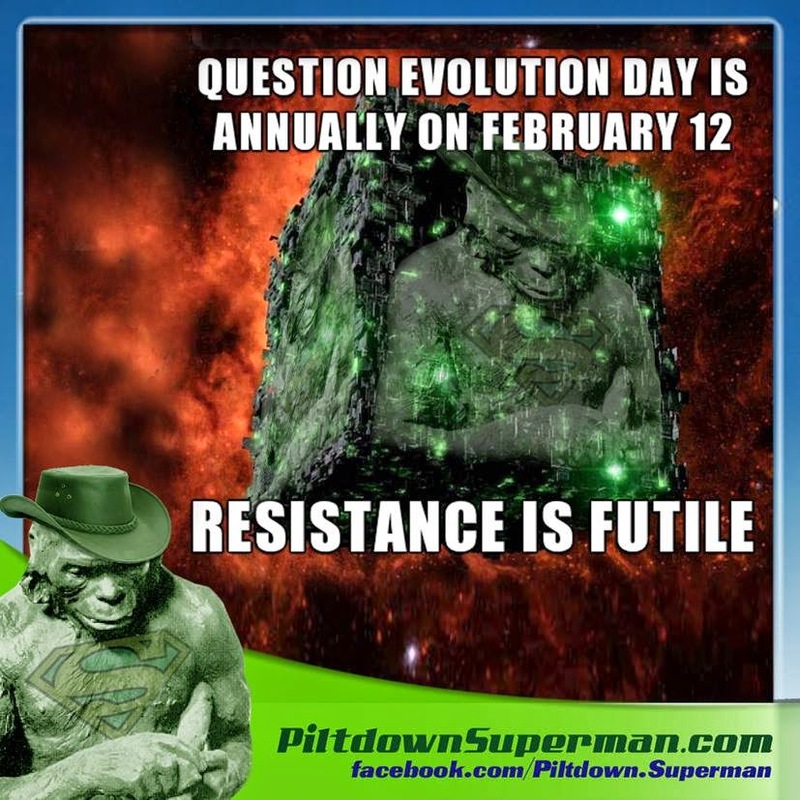 Nye, Tyson, Krauss and others are one of the reasons that Question Evolution Day is necessary (click here for more information). An enthusiastic but somewhat obstreperous supporter of Question Evolution Day posted in a "debate" group on Facebook. ("Debate" here means "atheists gang up on creationists".) Naturally, their reactions were venomous. After their poor thinking was displayed in a post on a different Facebook Page, the post was removed and they banned the creationist — and atheopaths accuse us of fear and censorship. "Meme" at upper right made a Imgur. Frame and other enhancements (improvements!) from Why?Outreach. Nye was in an interview where he was given easy questions and made to look good. The fawning didn't fool thinking people. National Geographic gives Bill Nye the Science Guy an open mike to make unchallenged generalities, with feeling. In a “Book Talk” segment, National Geographic writer Jane J. Lee let her bias known right in the headline and sub-heading: “Why Bill Nye Calls Evolution ‘Undeniable’ and Creationism ‘Inane’: Darwin’s theory explains so much of the world, from bumblebees to human origins, says the Science Guy. Not so fast. To read the examples, you'll have to go to the source: "Bill Nye Admits to Propagating Evolution Via Emotional Stories". I wonder if someone will ever interview him with serious questions instead of just coddling him. Meanwhile, the anti-creationist and anti-Christian activities are becoming more aggressive. Cholesterol, Global Warming and Evolution — HUH?